The demo may not be available to UK users (for the moment), but luckily we got the chance to play through the whole demo at the Eurogamer Expo event in London over the weekend. Firstly, we have to say that we were amazed by the sheer beauty of the game. The demo was hooked up to a Sony Bravia TV set and was running in full 1080p resolution. The character models look so crisp and even the littlest of details stand out in the background. As for the demo, the amount of time you get is quite generous we have to say. You start off getting to grips with the controls, before you are immediately thrown into action against hordes of enemies. 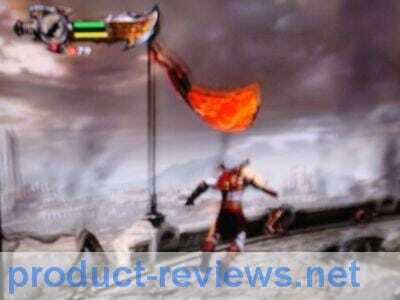 With the types of moves Kratos has at his disposal though, you’ll feel that you are slightly invincible, as most of the time will be spent deciding whether to throw enemies off balconies or simply enjoy a small and rather brutal close-up kill. 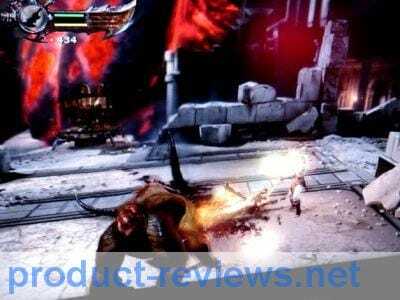 The game is strictly for the mature audience we’d add too, as there really is no holding back with the amount of violence that is featured in GoW III. One scene with a cyclops-type boss, where Kratos literally yanks his eyeball out – stood out for me in particular. At the end of the demo, you are greeted with a ‘coming March 2010’ screen plastered in front of you, definitely leaving you wanting more. We can’t wait for the release of this one, it’s safe to say that God Of War III will be one of the games of 2010 in my opinion. We’ll upload a video of some action soon, but you can check out a few photos we took below. Very good game, I have played the former two, and love them!! 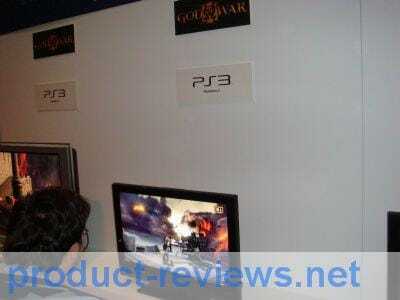 Hope God Of War III release soon.